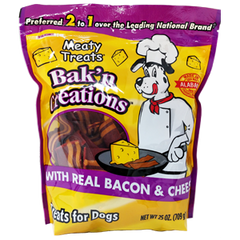 The quality of our products is our primary focus and takes priority, especially when it comes to the way we manufacture our pet foods and treats. We manufacture our products with extreme care and precaution so that we can provide our customers and pets with the highest quality products. Not only do we care about the satisfaction of our customers, we care about the satisfaction of your pets. That being said, it is no surprise that we submit to a standard of quality higher than the standard required by the federal government. We are proud to say that all four of our facilities have attained level 3 certification from the SQF Certification Program. This is the highest level available and equals the same standard of quality that is required for manufacturing foods for human consumption. Family owned and operated for more than 50 years, Sunshine Mills, Inc. is proud to serve the world’s pets with a whole variety of foods and treats at value prices. We own and operate multiple plants within the U.S.A., so we control the quality of our products from start to finish. Each plant is certified for food safety to ensure that each and every batch we produce is perfect in every way for your pets. Sunshine Mills has developed through four generations as an American family business. Headquartered in the rural North Alabama town of Red Bay, the company began as a producer of animal feed in 1949 under the direction of Omer Bullen and his son-in-law, Fred Bostick, Jr. As the business continued to flourish, pet food was added to the production lineup in 1960 in a pelleted form. John Bostick joined the team in the early 70’s and helped develop Sunshine’s economy dog foods into more complete lines. Over the next several years, the Sunshine, Field Trial, and Cat Café brands grew to be leaders in value across much of the Southeastern and Southwestern United States. Alan Bostick took over the reins as President and CEO in 1984 and has continued the progress and foresight of his grandfather, father and brother, by expanding their product line and geographic reach to eventually include all of the United States and more than 30 countries worldwide. Today, our products are marketed under various Sunshine brands, as well as private label offerings. These items can be purchased at most of the major retailers across the USA including mass merchandisers, grocery, value discount, clubs, pet specialty, hardware and the farm & feed channels. As much as we have grown, we have not lost our focus on family values. Our pets are a part of our family. That’s why we at Sunshine Mills do everything in our power to craft carefully designed foods and treats to help you maintain your pet’s health and happiness for many years to come. With the humanization of pets today, pet owners want absolute assurance that the pet food they purchase for their “loved ones” is safe no matter where the products are sourced, raised or manufactured. Retailers also recognize the importance behind making their products safe and want assurance that their suppliers are successfully demonstrating their ability to manufacture safe, quality food. Sunshine Mills, Inc. recognized the prominence of producing safe foods, successfully completed extensive research, and chose the SQF Certification Program, which is one of the most globally recognized food safety programs in the world. The SQF Program has 3 levels of certification, and we at Sunshine Mills are extremely proud to proclaim that we have attained level 3 certification, which is the highest level available! This means that Sunshine Mills, Inc. is successfully producing pet foods and treats at the highest level available for food safety and quality. Level 3 achievement is the same level of certification that is required for manufacturing foods for human consumption, which is why we are so thrilled to offer our customers the same standard. While we are proud of our accomplishments, we continuously strive for the betterment of our programs, which is why our Quality Assurance Team is still tirelessly working to further improve our processes for producing safe, quality food. As a pet owner, you can be assured that the Sunshine Mills products you purchase can be done so with absolute confidence knowing that we apply the same standards of manufacturing to the food you feed your pets as to the food you feed your families!